In existing groundwater contamination source characterization methodologies, simulation models estimate the contamination concentration in the study area. In order to obtain reliable solutions, it is essential to provide the simulation models with reliable hydrogeological properties. In real-life scenarios often high level of uncertainty and variability is associated with the hydrogeological properties. This study focuses on quantifying the hydrogeological parameter uncertainty to enhance the accuracy of identifying contamination release histories. Tracer experiment results at the Eastlakes Experimental Site, located in Botany Sands Aquifer, in New South Wales, Australia, are utilized to examine the performance and potential applicability of the methodology. In the selected study area, the hydrogeological heterogeneity in the microscopic scale, specifically the hydraulic conductivity, has substantial effect on the transport of pollutants. Among available tracer information, Bromide is studied as a conservative contaminant. Using possible realizations of the flow field, a coefficient of confidence (COC) is calculated for each field monitoring locations and times. Higher COC implies that the result of simulation models at that specific monitoring location and time is more reliable than other contaminant concentration data. Therefore, the optimization model should emphasise matching the corresponding estimated and observed contamination concentrations to accurately identify the contaminant release locations and histories. The linked simulation–optimisation method is utilised to optimally characterise the Bromide sources. 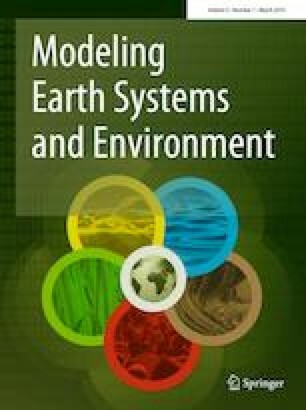 Performance evaluation results demonstrate that the proposed methodology recovers pollution source characteristics more accurately compared to the methodology which does not consider the effect of hydrogeological parameter uncertainty. B. Datta thanks CRC for Contamination Assessment and Remediation of Environment (CRC-CARE), University of New Castle, NSW, Australia for providing financial support for this research through Project: no. 5.6.0.3.09/10(2.6.03), CRC-CARE-Bithin Datta (JCU) which also funded the Ph.D. scholarship of the first author. M. Amirabdollahian also acknowledges the financial support by CRC-CARE, and James Cook University, Australia. The authors declare that they have no conflict of interest. It is to be noted that NSW Department of Industry is not associated or endorsing any component of this research material or its results.